Ed Clements was born in Stem, N.C., in 1918 and moved to Durham as a child with his family. After serving in the United States Navy during World War II, he returned to Durham, where he became a successful barber. In 1956 he became a partner in Clements Funeral Service. 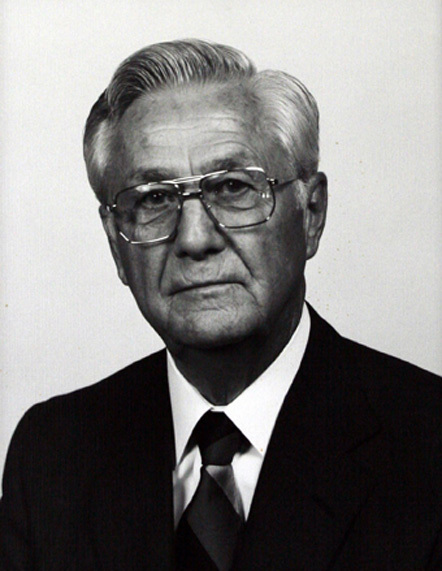 Clements was elected to the Durham County Board of Commissioners in 1954 and served until 1984, including two years as chairman, from 1980 to 1982. Elected to 15 two-year terms, on many occasions during his 15 election campaigns, he not only led the ticket in votes, but received more votes than anyone else running for any office in Durham County elections. During his three decades on the board, Clements played an integral role in the development of Research Triangle Park, the Durham County Main Library, the Durham County Stadium, Durham Regional Hospital, and the Durham County Judicial Building. Beyond his achievements as a commissioner, Clements was an active member in the community. He was a long-time member and deacon of Braggtown Baptist Church, a member of the Braggtown Lions Club, the Masonic Luncheon Club, the Mt. Sylvan Ruritan Club, the Durham Masonic Lodge, and the Durham Shrine Club. He served as president of the North Carolina Funeral Directors Association from 1980 to 1981.